Tea for two? More like personal tea party for one. 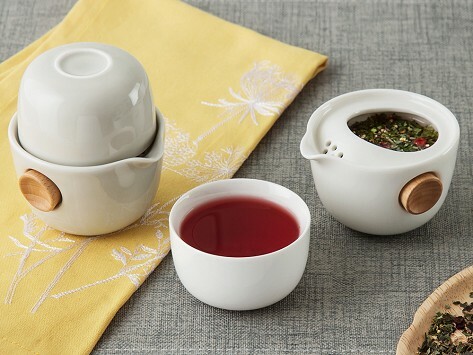 This simple and sophisticated teapot and cup set is made up of a compact brewing pot with a built-in strainer and a lid that pulls double duty as a cup. The modern-looking set is sized to brew one steep of tea and is a great gift for tea lovers who don’t feel like sharing, but do feel like making the next cup extra special. Brilliant design. So easy to use. So nice to the touch. And it works! (and we vacation at 23 Pochet Road - is that spooky?